Sorry, couldn’t think of anything cuter for a headline. Kal took a long long nap on Saturday and we didn’t get to see much of him. 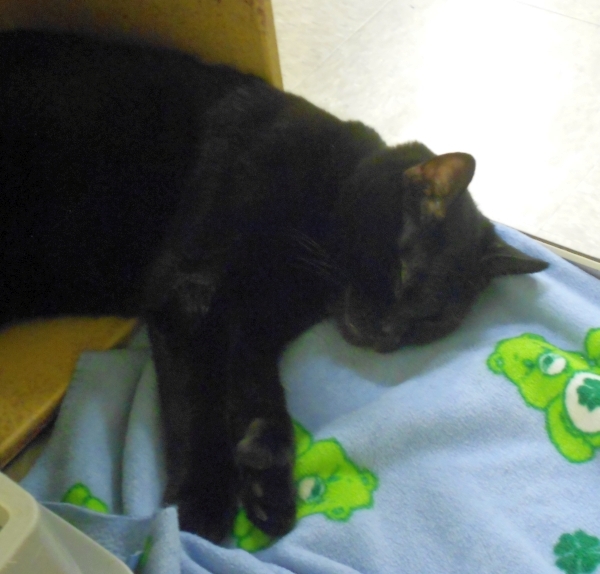 But someone somewhere saw much of him and decided he was the cat for them, he was adopted earlier this week.